Arrive at Amsterdam Airport Schiphol. Board the train to Zwolle station and proceed on to Giethoorn by your private transfer. A postcard perfect village, it is called as the Venice of Netherlands. With no roads or cars, the only way to navigate is by boats through the canals or walk over the wooden-arched bridges. Bask in this distinguishable silence and feel at peace, perfect to spend a romantic holiday. Check-in to your hotel in Giethoorn and spend the night. Start the day by indulging in a hearty breakfast. The day is yours at leisure to explore the quaint little village of Giethoorn and its farmhouses dating back to the 18th century. You have the option of renting an inflatable ball, where you can literally walk on water. While experiencing the harmonious side of this enchanting village with your sweetheart, experience the bliss and solitude of nature. Return to your hotel room in Giethoorn for a peaceful night. After enjoying a hearty breakfast, check-out of your hotel and proceed towards Zwolle in your vehicle. Board a train to Rotterdam from Zwolle station. 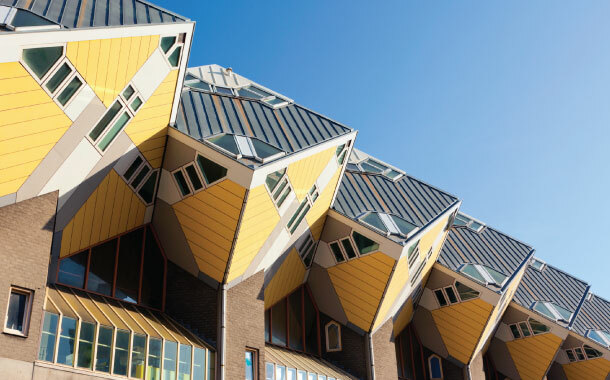 Completely rebuilt after World War II, this ‘second city’ of Netherlands, is synonymous with vibrancy and liveliness. Upon arrival, check-in to your hotel. From museums to a thriving nightlife, this is a city that does not know the word drab and boring. Experiencing this Dutch side with your darling is definitely special. You have the day at leisure to explore Rotterdam and feel the pulsating vibes of the city. We strongly recommend that you pay a visit to the mysterious cubic houses or the Cubehaus. Do not miss a chance to get mesmerised by such dynamic architecture. Return to your hotel room for a night of vivid dreams in Rotterdam. After breakfast at your hotel, you will set off for an experience of a lifetime, the Hot Tug ride. 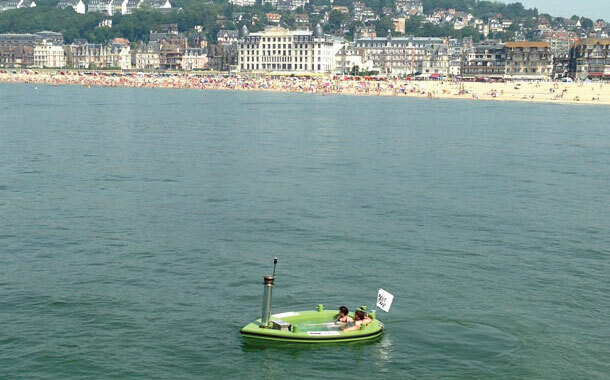 It is the world’s first ever unique wood-fired hot tub that you can relax in and also sail on. Enjoy a relaxed morning with your loved one soaking in the hot tub in the cold Dutch winter. 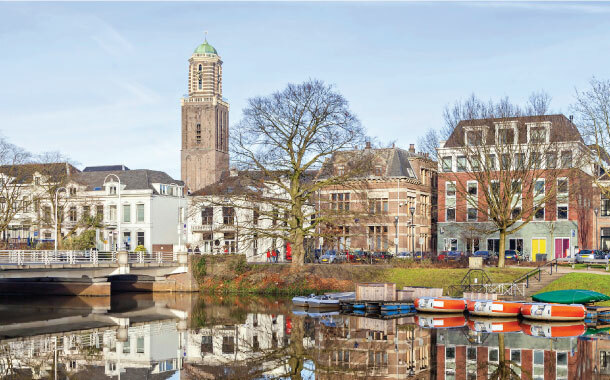 Later on in the day, take a half-day trip to Delft and The Hague. 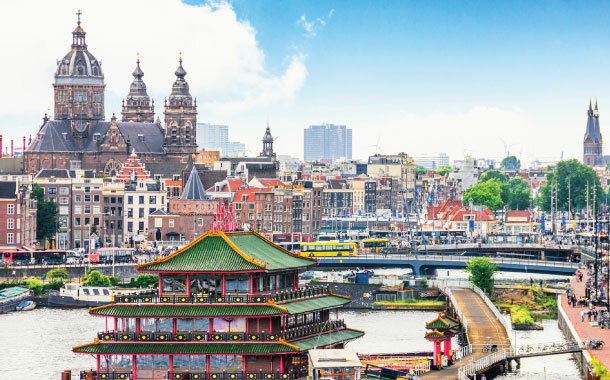 These Dutch cities hold importance in the pages of history. Stroll along these epoch-making lanes with your love by your side, and learn about the yesteryears of the Dutch. Return to your hotel in Rotterdam for the night. 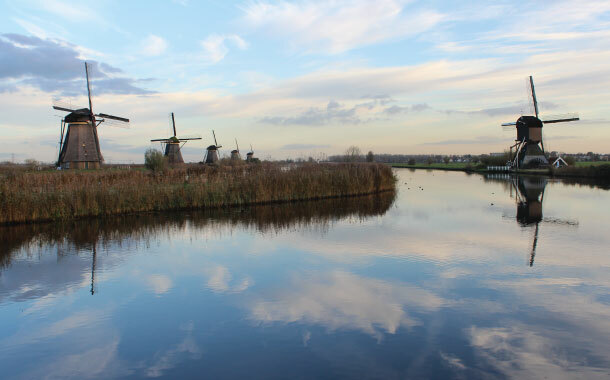 After a healthy breakfast, check-out of your hotel, gear up to head on to Kinderdijk. 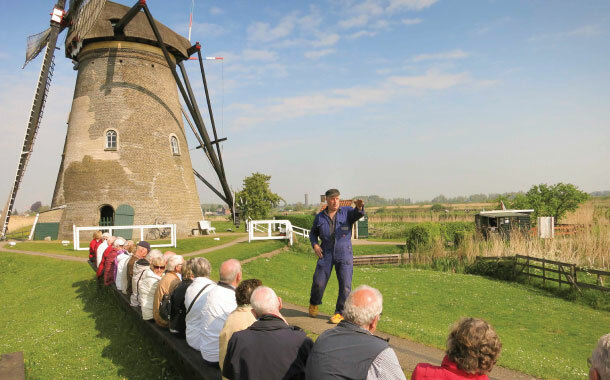 A collection of 19 authentic windmills that are considered as a Dutch icon, Kinderdijk is a UNESCO World Heritage Site. A water-bus acts as your chariot and takes you from Rotterdam to this beautiful countryside of Kinderdijk. Get a chance to cruise through the canals on a boat or cycle along the countryside. 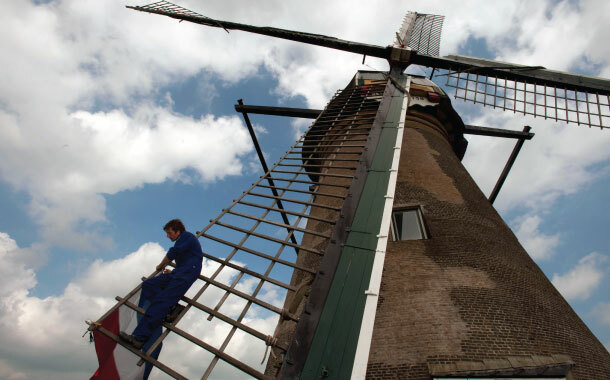 A trip to Kinderdijk will be incomplete without a stop at the windmill workshop. A personal guide will take you behind the scenes, where you uncover the secrets of the Dutch icon. Also enjoy a delicious picnic lunch in this beautiful Dutch countryside. Return back to your hotel in Rotterdam and pick up your luggage from the left luggage section. Transfer to the train station in the early evening. Later in the afternoon, depart for Amsterdam by train. On arrival in Amsterdam, you will be transferred to the hotel. Join in a candle light dinner cruise this evening on the stunningly beautiful Amsterdam canals. The cruise dinner with carefully hand-picked wine is just right to set a romantic mood on your first evening in Amsterdam. Spend the night in the comfort of your room in Amsterdam. Start the day with a breakfast meal, after which a city tour of Volendam, Marken, Edam and its windmills await you. Situated about half an hour from Amsterdam, we head to the quaint town of Edam known for its famous cheese covered in red or yellow wax. Thereafter, we shall head to Netherland’s most traditional fishing village, Marken. The third town of this trio is Volendam, where you can spend a leisurely afternoon browsing through the town’s promenade lined with many souvenir shops and indoor and outdoor eateries. As the evening sets in, the coolest bar in town, the XtraCold IceBar awaits your presence. Indulge in some smooth cocktails of your choice and let its amazing ambience engulf you. After some sinful indulgence, return to your hotel in Amsterdam to spend the night. Enjoy your breakfast spread in your hotel. We implore you to eat well as the day holds a lot of butterflies that will tickle your tummies. Proceed to Ghent and Bruges, where an adventure is waiting to happen. Spend the day at your leisure. Both these Belgium cities will leave you with a sense of enchantment as you wander down their cobbled streets and are greeted by the light cool breeze. After an exciting adventure in the Belgium cities, return to your hotel in Amsterdam. Overnight in your hotel room in Amsterdam. Begin the day with a breakfast. Check-out of the hotel and rest of the day is at your disposal till your departure transfer. Proceed towards Amsterdam Airport Schiphol. Your flight awaits, to take you back home, as you say goodbye to a romantic getaway that you are bound to cherish for a long time. Standard check in time is 1500hrs and check out time is 1000hrs. Supplement for guaranteed early check in / late check out on direct payment basis. Additional supplement for mandatory reservation fee on Eurail sector applicable. UNESCO World Heritage Kinderdijk is closed for maintenance till February 10, 2017. Mandatory city tax if any applicable to be paid directly at the hotel. Reservation fee for internal train sectors over and above the Benelux Pass.